The specific steps to credit repair depend on what's on your credit report. Before you can start repairing your credit, you'll need to order your report and review it to stop any negative information. Many credit reports also include an explanation of the things that are negatively affecting your credit. This will give you an idea of what you need to fix to improve your credit. While you may have one or two issues which are negatively impacting your credit score, with a bit of strategy and patience, all credit report issues are fixable. Relatively speaking, the easiest thing to fix on your credit report is inaccurate information. Clerical errors could easily lead to credit report errors. Don’t overlook these errors because they could be hurting your credit. Submit a credit report dispute letter to have inaccurate information removed. Your payment history has the largest impact on your credit score. 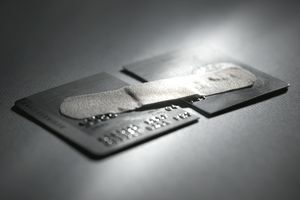 Late payments will hurt your credit score more than anything else as payment history is 35 percent of your FICO score. Get current on any accounts that are delinquent. If you have accounts that are 30 or 60 days late, make those payments to keep them from taking a toll on your credit. Once accounts pass 90 days late, they're considered to be extremely delinquent and could go to collections. Negotiate with creditors and debt collectors to remove charge-offs and collection accounts from your credit report. They don’t have to remove this information, but you may be able to negotiate with them by paying for deletion. If the account is already paid, a goodwill letter is likely your best bet. Your level of debt has the second largest impact on your credit score as it is 30 percent of your FICO score. Ideally, your credit card balances should be at or below 30 percent of your credit limit. That means you should have a maximum $300 balance on a credit card with a $1,000 limit. First, focus on bringing over-the-limit balances below your credit limit. Then, work on bringing all your credit card balances down to a more credit-friendly level. Pay any outstanding judgments. They’ll keep hurting your credit either until you’ve paid it or until it falls off after seven years or after the statute of limitations, whichever comes first. Student loan default isn’t always permanent. Talk with your lender to find out what your student loan repayment options are to bring them out of default. Often, you will have to make several months of timely payments before your student loan will be considered current. In certain situations, you may want to consider a student loan forgiveness program. With these types of entries, there isn’t anything to repair, unless the entry is inaccurate. In that case, you would use the dispute process to have the item removed from your credit report. You might have to work with the courts and banks to have their records updated. If bankruptcy or another serious delinquency is listed on your credit report, focus on rebuilding your credit by adding positive payment history and demonstrating you can ​manage your credit. If you can’t get approved for a regular credit card, apply for a secured credit card. Use the card to make small purchases and pay your bill in full every month.